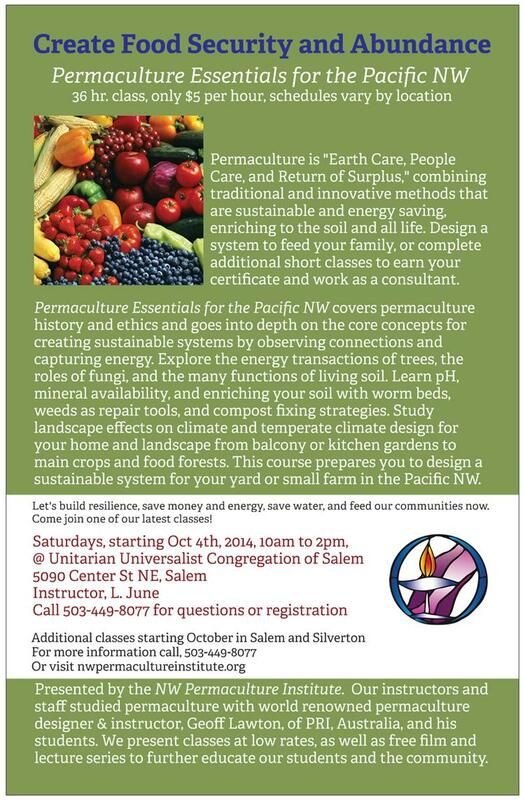 Permaculture Essentials for the Pacific NW, 36 hr. class, only $5 per hour, schedules vary by location. Let’s build resilience, save money and energy, save water, and feed our communities now. Come join one of our latest classes! Presented by the NW Permaculture Institute. 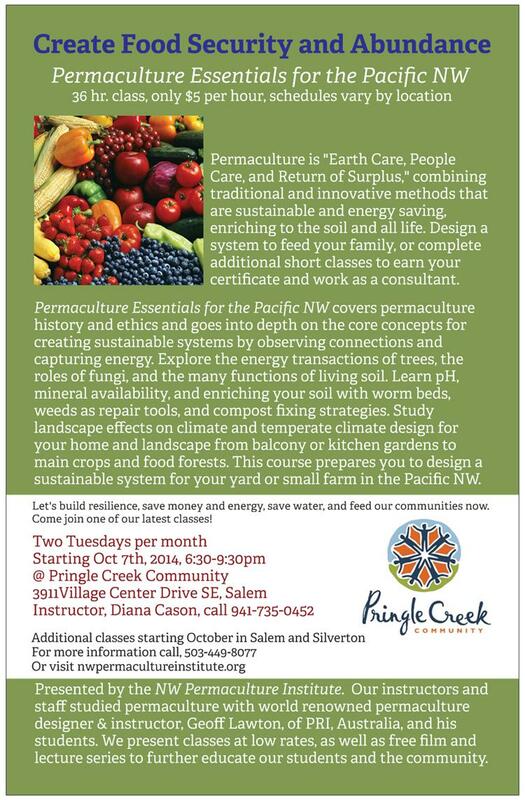 Our instructors and staff studied permaculture with world renowned permaculture designer & instructor, Geoff Lawton, of PRI, Australia, and his students. We present classes at low rates, as well as free film and lecture series to further educate our students and the community. Categories: Uncategorized | Tags: abundance, agriculture, chickens, class, community, compost, compost tea, consult, course, culture, design, ducks, earth, ecology, energy, energy saving, ethics, farm, farmer, food, fruit, fungi, garden, gardener, gardening, goats, homesteading, learn, local, nature, oregon, organic, perennials, permaculture, pigs, rabbits, rain water, salem, sheep, silverton, sustainability, sustainable, swales, teach, trees, vegetables, victory garden, water, willamette valley, worm beds, worms | Permalink.